Government cuts to policing budgets are likely to result in a rise in low-level crime and increased demand on under-pressure local health and education services in parts of Yorkshire, according to one of the region’s police commissioners. In a briefing to West Yorkshire MPs seen by The Yorkshire Post, Mark Burns-Williamson has warned that the expected budgets cuts to be announced later this month will result in fewer local “eyes and ears” on the street to spot potential terrorist threats. The county’s police and crime commissioner said his force would be increasingly forced to help out others around the country or deal with national threats, despite losing 39 per cent of its workforce between 2010 and 2020. His claims emerged as Policing Minister Mike Penning apologised in the Commons yesterday after admitting the Government made errors in its controversial reform of the police funding formula. Mr Penning apologised to MPs and the 43 police forces in England and Wales, adding that initial allocations were “never indicative” of police budgets under the formula and the changes for 2016/17 would now be delayed. The Yorkshire Post revealed last week that a group of police and crime commissioners (PCCs), including North Yorkshire’s, were threatening to take legal action against the Government over funding reforms that could see millions of pounds a year cut from their forces’ budgets. Despite the introduction of new funding criteria being delayed, all police forces still face budget cuts of between 25 and 40 per cent when the Government’s comprehensive spending review (CSR) is announced later this month. Mr Burns-Williamson says Government funding for West Yorkshire will fall by between £107 million and £147 million a year by 2019/20. This could mean that by 2020 the force, which draws 80 per cent of its funding from central Government as opposed to local tax-payers, employs as few as 3,487 officers, a 39 per cent reduction from the total in 2010. Mr Burns-Williamson’s briefing to MPs last week, written in the hope that they will lobby the Government to change its plans, paints a grimmer picture of the future for policing in West Yorkshire than the Labour PCC’s previous public statements. After revealing in a press release that he had sent out the analysis of “what another round of huge budget cuts could mean for [West Yorkshire Post] and the 2.3 million residents it serves”, he declined to release the briefing to The Yorkshire Post. This newspaper has since obtained a copy of the report. According to the PCC’s figures, West Yorkshire Police will lose 13 per cent of its workforce between 2015 and 2018, compared to the national average of six per cent. It is predicted that the force will have 4,487 officers by the end of March 2016, 1,275 fewer than March 2010. The number of police staff will have fallen by 696 in the same period and the number of PCSOs by 169. In total, more than a fifth of West Yorkshire Police’s workforce will have been lost over the six years. At the same time, the force is seeing big rises in the number of complex ‘safeguarding’ incidents it has to deal with, such as cyber-crime, child sexual exploitation and human trafficking. The number of human trafficking cases alone is set to more than double in a year, from 35 in 2014/15 to an estimated 87 this financial year. The PCC wrote that significant one-off reserves had been ploughed into tackling CSE and cyber-crime, with big investments in telecoms and number plate recognition technology. The reduction in numbers combined with increasingly complex cases is said to be putting “severe strain” on staff, with the number of hours lost to sickness absence rising from 2.7 per cent to 3.7 per cent. Mr Burns-Williamson said neighbourhood policing would not “disappear completely” as it would elsewhere in the country, but that “our community and problem solving neighbourhood activity will be reduced dramatically”. He added: “Our ability to get upstream to prevent crime will be lost, and low level crime and [anti-social behaviour] is likely to increase. “At a time of severe threat to our national security we need more resources, not less, at the local level to provide the intelligence needed to combat terrorism as the police and PCSOs are increasingly the eyes and ears that identify key threats to our county and to our country. 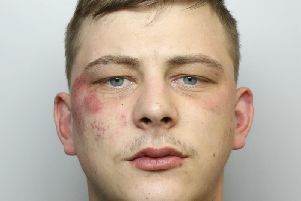 The briefing said West Yorkshire Police and other bigger forces would increasingly be asked to help out their smaller counterparts or deal with national threats. Mr Burns-Williamson warned: “Increased demand will inevitably have to be directed to other agencies, NHS, mental health and education, services that the government wants to protect. West Yorkshire Police’s temporary Chief Constable Dee Collins said that until the CSR announcement was made it was “very difficult to predict with any certainty just how these cuts will impact upon our services and in what areas”. She said: “What we do know, is that we will have to make some extremely difficult decisions, even if the cuts emerge at the lower end of that register. “We must still find £6.4m over the next two years and this is before we factor in the additional 25 per cent to 40 per cent cuts that are being explored. “Neighbourhood Policing has always been the very bedrock of our style in West Yorkshire and although it is threatened, we are doing our very best to maintain it. “The situation remains hugely challenging and with people our main asset, it is reality that we will have to further reduce in size to meet these new savings targets. A Home Office spokesman yesterday declined to comment directly on Mr Burns-Williamson’s report, but referred instead to policing minister Mike Penning’s Commons statement.